"Welcome to Launch Lab X — the groundbreaking offering from Harvard Innovation Labs, exclusively for Harvard alumni-led ventures." Investment amount: $100,000 awarded to two Launch Lab X teams ($75,000 first place award, $25,000 runner-up award) as part of the Presidents Innovation Challenge. Individualized milestone model: We give you a scorecard to help track your progress combined with a custom roadmap designed explicitly for your startup. Weekly cohort sessions and dinner: You will step out with peers regularly each week, so you can carve out time for socializing without distracting yourself from the work of building your business. Even world-changing entrepreneurs and innovators have to eat, right? Deep mentorship: A mentorship program unlike any you’ve experienced. Both peer-based mentoring as well as industry-specific coaches for members of the founding team. Dedicated office space: You’ll have dedicated space for your team and your cohort at the Harvard i-lab, including our suite of creative studios (maker space, multimedia, and AR/VR), and full resource support. And plenty of espresso. 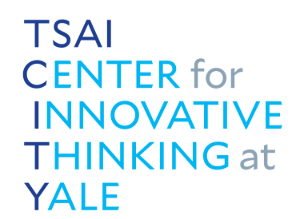 "Tsai CITY’s Accelerator, which runs every fall and spring semester, guides students and teams with innovative ideas through the process of building effective organizations, projects, and ventures through workshops, mentorship, and funding. The Accelerator provides an enriching learning opportunity for students with innovative ideas." The chance to be part of an awesome group of innovators from around Yale! "Here at eLab, we are dedicated to accelerating the top Cornell University startups. eLab is not for theory; it is for launching real businesses. 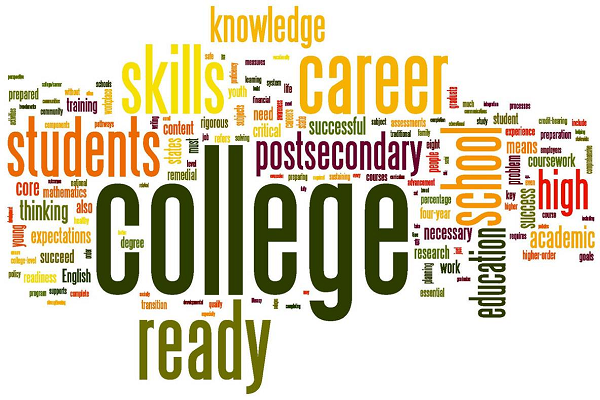 Admission into the program gives you access to all of the following resources with no equity taken." One-on-one mentorship from successful entrepreneurs. "NYU Summer Launchpad (SLP) is an immersive 9-week accelerator for teams of graduating NYU student entrepreneurs to bridge their part-time dedication to their startups while in school, with full-time commitment after graduation." Program benefits: $15,000 in perks, 1:1 coaching, and more. The program culminates with a demo day to angel investors, entrepreneurs and members of the NYU community. "Brown University’s Breakthrough Lab (B-Lab) is an intensive 8-week accelerator program designed to support student entrepreneurs developing high-impact ventures." Investment amount: Each B-Lab participant receives a $4000 stipend to enable their summer venture work. We will provide a Summer Earnings Waiver (SEW) to students who need to meet the Standard Contribution (SC) from the Summer Earnings Expectation. B-Lab ventures have access to dedicated workspace, designed to maximize their progress. A deep and knowledgeable roster of mentors, industry contacts, and experienced entrepreneurs. B-Lab has become a partner in the Google Cloud for Startups Program which makes ventures eligible for $20,000 in Cloud and Firebase credit, access to Google engineers for office hours and in-depth 1:1 architecture reviews, and 24/7 technical support. B-Lab is proud to partner with Amazon to help teams get critical resources and support. Amazon Web Services provides startups with the low cost, easy to use infrastructure needed to scale and grow. The AWS Activate program provides startups with the resources they need to quickly get started on AWS – including credits, training, and support. "Startup UCLA’s summer accelerator provides a workspace, guidance, legal services and mentors to early-stage companies." Program benefits: The ten-week program exposes teams to top entrepreneurs, investors, and experts in web-related topics. At the end of the summer, you pitch your company to our growing network of local entrepreneurs and investors." "Apply to an exciting new program at the Pennovation Center! The Pennovation Accelerator is designed to help early stage ventures experience rapid growth and success. With comprehensive sessions in market research, business planning, team formation, capital strategies and more, you have all the tools you need to succeed in a collaborative environment." "MIT delta ν is an educational accelerator for MIT student entrepreneurs to help them accelerate their growth in building viable, sustainable ventures." 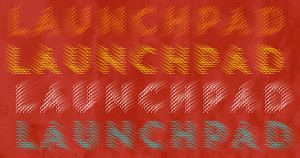 "Launchpad is one of Stanford University’s most successful accelerators. Each Spring quarter d.school adjunct professors Perry Klebahn and Jeremy Utley work with 10 new ventures to incubate and launch a real business in just 10 weeks." "Almaworks is Columbia University's startup accelerator for Columbia student entrepreneurs. We take no equity and aim to help early-stage startups run by student entrepreneurs achieve significant, sustainable growth." Investment amount: The program is free. We do not take any equity in your startup and you have full ownership of your startup IP. As of now we also do not provide funding, but we help jumpstart you for the $250,000 Columbia Venture Competition, which will occur in Spring 2018. You'll get direct access to some of the best startup mentors around. These include entrepreneurs who have built multimillion dollar businesses as well as startup growth experts, venture capitalists, and accountants and lawyers specializing in serving early stage startups. These mentors give personalized advice through weekly office hours. Check out our full list of mentors here. You'll gain expert knowledge on the skills to fast-track your startup's growth. Throughout the program, we will bring in experts on the fields of design, product/growth hacking, and funding to conduct workshops. You'll also be paired with an Almaworks organizer that will help tailor the resources we offer to your startup's specific needs. You'll be surrounded by a great community. Gaining initial traction is often one of the most challenging roadblocks for startups. We offer an environment of supportive founders working on their own early-stage startups and weekly meetings to address potential challenges many early-stage startups face. You'll get help with market validation. Almaworks caters to startups that count college students as their primary audience and has organized an enthusiastic pool of college students to try out products and give feedback to startups in the program. Almaworks is also directly plugged into the Columbia University college community through its parent organization CORE, the largest student-run organization on campus. We'll work with you to connect to the Columbia community through CORE's media outlets. You don't have to tolerate cardboard pizza. We offer non-pizza food at every meeting. Yeah, we know. It's pretty revolutionary.